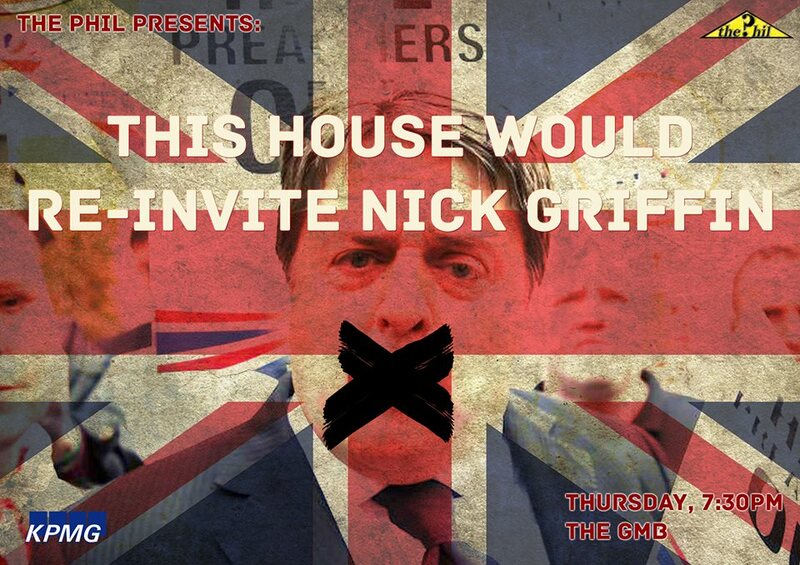 Nick Griffin to Debate at Trinity?………Again? With TCD’s Phil Society debating whether or not to re-invite Nick Griffin back to Trinity, let’s take a look back at some previous attempts to bring him onto Irish university campuses and why a No Platform policy is not the same as being against freedom of speech. It came to my attention today that The illustrious Phil of Trinity College Dublin had a motion last week entitled “This house would re-invite Nick Griffin”, I presume to ‘debate’ (read as espouse racist hate speech under the thin veil of standing up for the good, decent working class people of Britain) immigration reform and/or free speech, while the debating students of the Phil look very open minded and liberal while cracking some witty remarks at his expense and using logical debate. All the while they have stood up for free speech by letting a racist in a suit talk shite. End of the night the students can go home safe in the knowledge that democracy is the best system we have and anyone who would deny Griffin his speaking writes are no worse than the fascists themselves. Sure who really listens to him anyway?